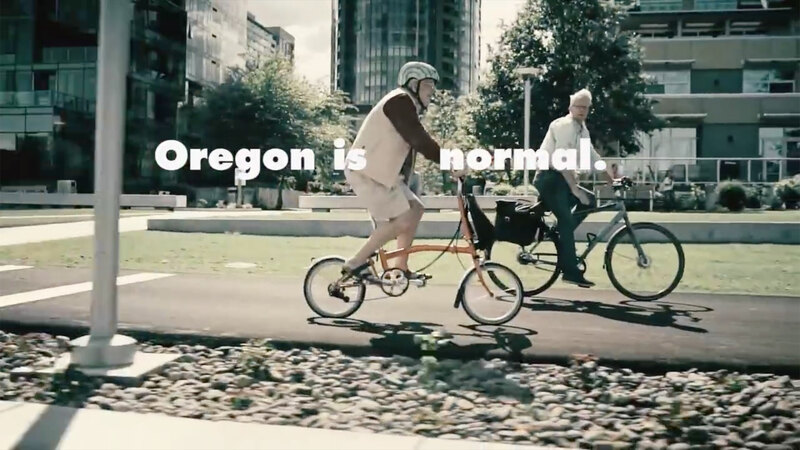 Spotted while watching a promotional video for Portland, Oregon-based Bicycle Transportation Alliance (BTA) – who are currently celebrating their 25th year – is this golden moment when an old geezer on a Brompton bicycle glides across the screen in all his (ab)normal ways. 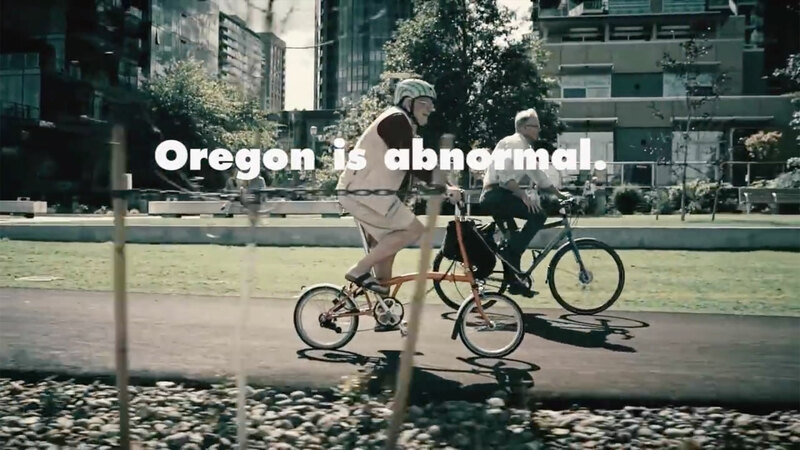 I mean flip-flops, watermelon helmet, orange folding bike, c’mon that stuff is abnormal! 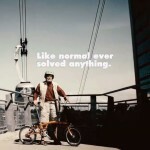 And it’s not like normal ever solved anything.